The Evolution of Crystal Luxury continues in November 2018 as the 68,000-ton Crystal Serenity undergoes her own multi-million-dollar transformation to welcome just 980 guests with more suites and penthouses, exciting new culinary options with open seating, and expanded technologies including free, unlimited Wi-Fi. 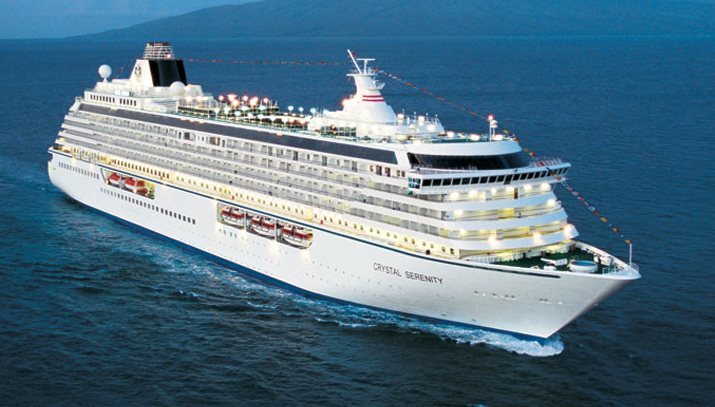 Crystal Serenity shares the international spotlight with Crystal Symphony as the world's two most awarded luxury ships. Sign up for our email specials and be the first to know about our exclusive sales and travel offers! Enter for a chance to Win a Free Vacation — Click Here! © Copyright 2018. All Rights Reserved. Kelly Cruises & Tours.